Turkish President Recep Tayyip Erdoğan said on Saturday that his ruling Justice and Development Party (AKP) would adapt to a reformist policy after the party lost in five of six most populous provinces, including the country's economic hub Istanbul, on March 31 elections, Turkish newspaper Cumhuriyet reported. Speaking in AKP central executive committee meeting, Erdoğan said his party would support any actions on behalf of the public weal without looking at the agents. "We will support no matter what is beneficial for citizens without marginalising or discriminating," Cumhuriyet quoted the Turkish president as saying. The newspaper said Erdoğan's remarks on reforms gave signals of a turning back to 2002 policies, an era that the Turkish government embraced a considerable democratic improvement such as the attempts for the solution of Turkey's long-lasting Kurdish question. Erdoğan also said his party would work harder to reach voters with different profiles, especially the young generation. 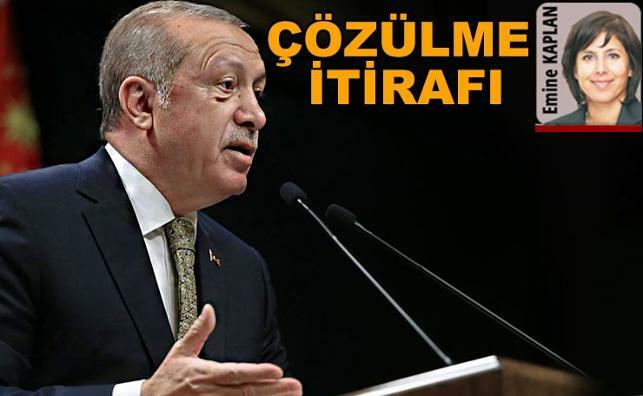 According to analysts, though the AKP still has the support of some 47 percent of Turks, the local elections were a major blow to Erdoğan, as he faced defeats in Istanbul, Ankara, Izmir, Mersin and Adana which account for 50 percent of Turkey’s wealth.